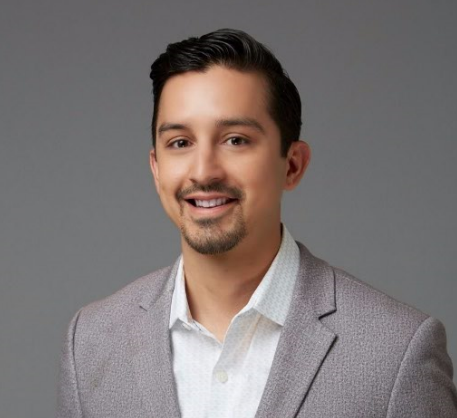 Los Angeles, CA (July 19, 2017) – Gabe Middleton, CEO and Co-Founder of human-I-T has been selected as one of 12 Coors Light Líderes of legal drinking age as a finalist for his commitment to empower the Latino community. Coors Light believes in rewarding the dedication and tenacious spirit of emerging leaders who selflessly work hard to achieve success by helping others. Gabe is one of 12 líderes who are competing to become the 2017 Coors Light Lider of the Year through an online public voting competition. The public can start voting for Gabe at www.CoorsLightLideres.com today, July18, through August 18, 2017. The winner will receive a $25,000 grant to implement a program in partnership with human-I-T to improve and empower the local Latino community. Voting rules and restrictions at CoorsLightLideres.com apply. Must be 21 years or older. Void where prohibited. “I am honored to represent my community for this year’s Coors Light Líderes program,” said Gabe Middleton, CEO and Co-Founder of human-I-T. “Coors Light has made a commitment to the Hispanic community to recognize and reward the dedication and tenacious spirit of emerging Latino leaders. I am grateful for the nomination and the opportunity to use the grant to set a positive example for the generation of Hispanic leaders across the U.S.” Gabe was selected as one of the 2017 Coors Light Líderes because of his commitment with low-income households. In 2012 he co-founded human-I-T, a Los Angeles-based nonprofit focused on digital equity and sustainable e-waste management. To kick start human-I-T, he opened an electronic repairs shop in the lobby of a cell phone repair shop to raise money. Slowly, he and a partner accrued enough funds to expand to a warehouse. They assembled a diverse team of experts and volunteers to execute their vision of becoming the philanthropic solution for used technology. human-I-T became a certified nonprofit in 2013. Simply put, Gabe has dedicated his career to equipping low-income populations with free technology, internet, text support and bilingual digital literacy training. As human-I-T’s CEO, his mentorship and devotedness helps prepare Angelenos with the skills and tools needed to excel in the digital era. Read more about our programs.Donate technology here.